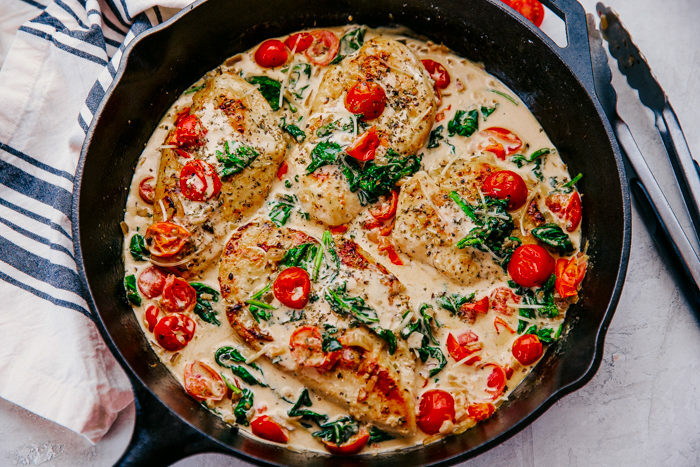 Don’t worry about dinner, this Creamy Italian Chicken Skillet with cherry tomatoes, parmesan cheese, and spinach has you covered. Filled with delicious bold flavor, and a creamy sauce this will be all you need. 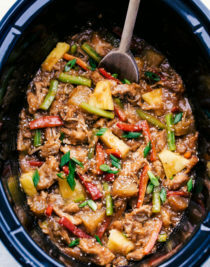 When you are lost in thought and need some good and simple dinner ideas you should also try out Rib Eye Steak Skillet with Peppercorn Sauce, Sweet and Sour Chicken, Skillet Pork Chops, or Cheesy Balsamic Chicken and Mushroom Skillet. All skillet meals that are sure to be sensational. Skillet meals are some of my favorite meals to make. 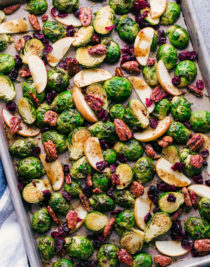 They require on pan and can be cooked on the stovetop and placed in the oven. This Creamy Italian Chicken Skillet is such a delicious way to do dinner and it won’t take you long to make it. 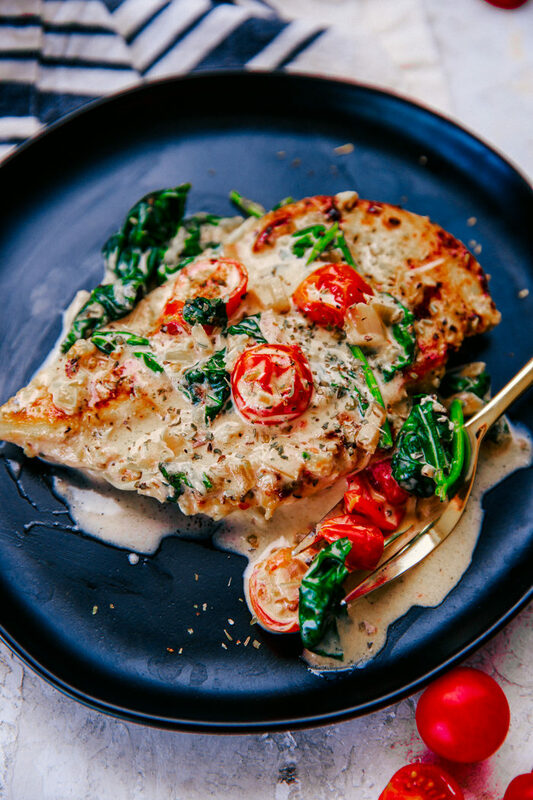 The creaminess and the simple but bold flavors make this Italian Chicken perfect when entertaining friends or just looking to spice up your chicken recipes. There is know reason to get bored with chicken, or so I tell myself since I eat so much of it. 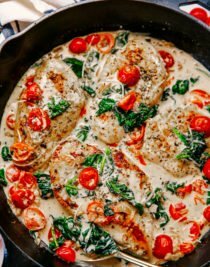 But finding ways to make it taste good and different from the same old thing can be boring in itself, but this Creamy Italian Chicken Skillet really is sensational. 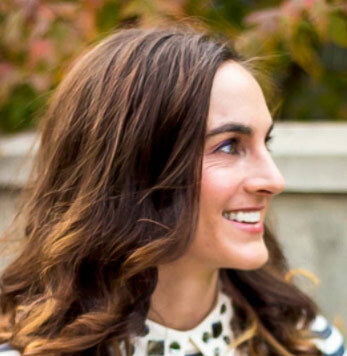 Cooking is a huge stress reliever for me, but I know it can be super stressful for so many of us. 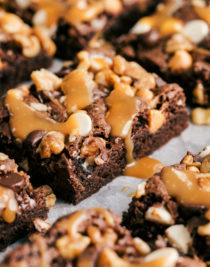 Having to come up with family friendly meals that don’t require a ton of work and preparation is tiring, so let this recipe be one that takes the stress away and your family will love. What kind of seasoning do you put on Italian Chicken? You don’t have to add too many types of seasonings on this chicken to make it taste amazing. 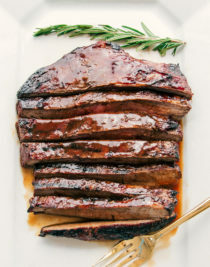 For this recipe all you need is garlic salt, pepper, and Italian seasoning. You can also use garlic powder, onion powder, paprika, oregano, thyme, and basil. What goes in Italian Chicken? 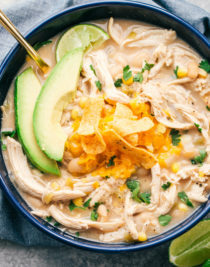 How do you make Creamy Italian Chicken? Begin by seasoning 4 boneless, skinless chicken breast with garlic salt, pepper, and Italian seasoning. Using a large skillet melt 2 tbsp of butter over medium high heat and add the chicken breast. Cook 5 minutes a side until they begin to brown and juicy run clear, remove from skillet and set aside. In the same skillet melt an additional 2 tbsp of butter and add minced garlic, diced shallots, and tomatoes. Saute, stir often for 5-8 minutes until the tomatoes begin to soften. Stir in chicken stock, heavy cream, parmesan cheese, and Italian seasoning. Stir until cheese has melted. Add in the spinach and cook 1-2 minutes until spinach has cooked down and softened. 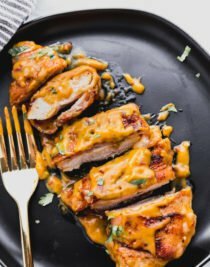 Return chicken breast to skillet and spoon sauce over the top of each chicken breast. Garnish with parmesan cheese and serve. Do yo have to use boneless, skinless chicken breast? No. You can use chicken thighs or chicken breast with the skin on. 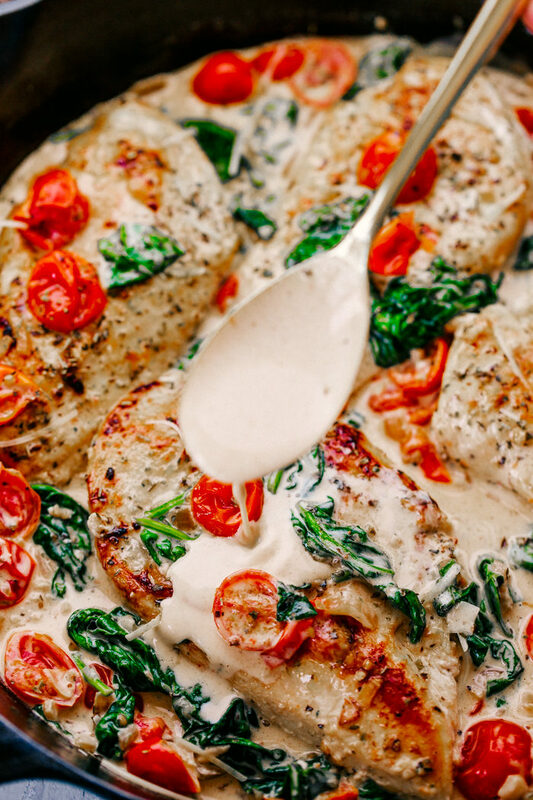 What do yo serve with Creamy Italian Chicken? 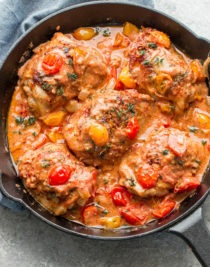 This Creamy Italian Chicken Skillet is going to be a delicious option to your next meal, and it will be ready in just 30 minutes. Looking for more easy skillet recipes? Begin by seasoning 4 boneless, skinless chicken breast with garlic salt, pepper, and 1/2 tsp Italian seasoning. Using a large skillet melt 2 tbsp of butter over medium high heat and add the chicken breast. Cook 5 minutes a side until they begin to brown and juices run clear, remove from skillet and set aside. 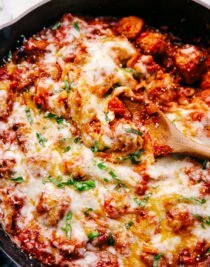 In the same skillet melt an additional 2 tbsp of butter over medium heat and add minced garlic, diced shallots, and tomatoes. Saute, stirring often for 5-8 minutes until the tomatoes begin to soften. Stir in chicken stock, heavy cream, parmesan cheese, and 1/2 tsp Italian seasoning. Stir until cheese has melted. Add in the spinach and cook 1-2 minutes until spinach has cooked down and softened.